Welcome to Stop 16 of the Consequences Audio Tour! 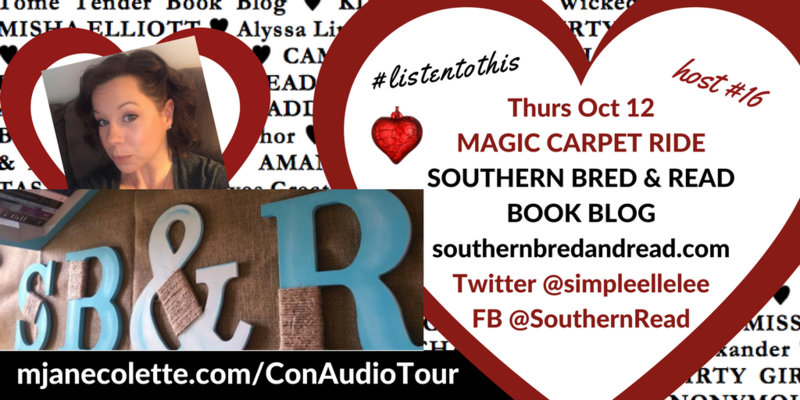 If you’re in a hurry to listen to Chapter 16: MAGIC CARPER RIDE, hurry over to SOUTHERN BRED & READ BOOK BLOG RIGHT NOW! Me: Run run to SOUTHERN BRED & READ BOOK BLOG to find out! Got a few minutes? Good. Cause I really want to introduce you to SOUTHERN BRED & READ BOOK BLOG. Read that post, and then follow Elle/Southern Bred & Read on Twitter, Facebook, Instagram & GoodReads and join me in my happy dance as I celebrate that Southern Read & Bred will be part of the Consequences Audio Tour, and I hope Elle’s readers enjoy the hilariously cynical “Magic Carpet Ride” chapter. Thank you, Southern Bred & Read Book Blog​ & Elle Leigh​ xoxo ! And thank you for getting to know Elle. Now get thee to her blog and enjoy your very own MAGIC CARPET RIDE.